I was wondering if there are potterheads here? If so, where are you from? watsonator, where are you from? hey ellen, alex here like katja said, there are lots of potterheads here. welcome! Yeah awesome i'm from Belgium. Yes, I am one of those people obsessed with Harry potter. I'm from France, big Potterhead here. That's not close... You wanted to change your life? Edited by Thessalie, 31 March 2018 - 08:53 AM. I'm from Romania, still in RO, but could soon move location....how is everybody doin? 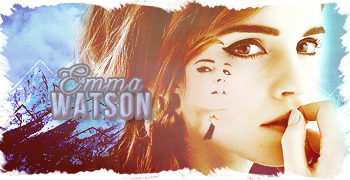 Of course you'll find potterheads here lol, and I like your username ''watsonator'', very cool! My now husband and I moved for better job opportunities back in 2015. So I guess kind of? Hi my name is Tony and I am from Tennessee. I am a Emma Watson Harry Potterhead. The only reason why I watch Harry Potter is because of Emma Watson. I have all of the Harry Potter Movies. I am a big fan of Emma Watson.